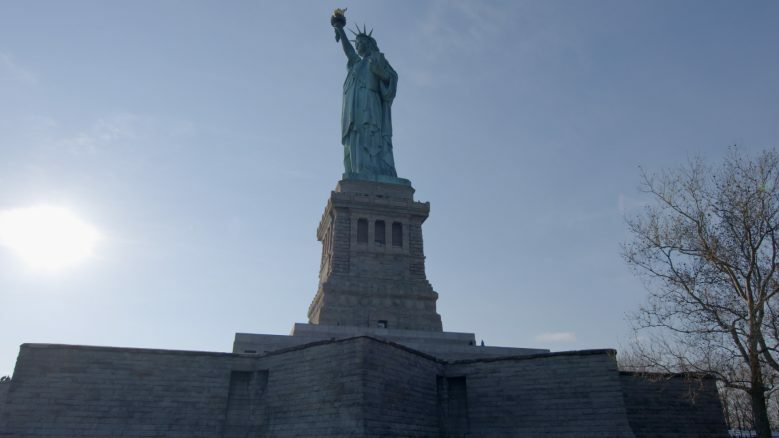 While “The New Colossus” once welcomed immigrants into New York Harbor from its perch on the Statue of Liberty, this episode brings the discussion of poetry and immigration into our current moment. Host Elisa New rediscovers the freshness and the still-potent charge of Emma Lazarus’s iconic sonnet alongside singer-songwriter Regina Spektor, activist and co-founder of United We Dream Cristina Jiménez, President of the American Federation of Teachers Randi Weingarten, financier and philanthropist David Rubenstein, and poet Duy Doan. 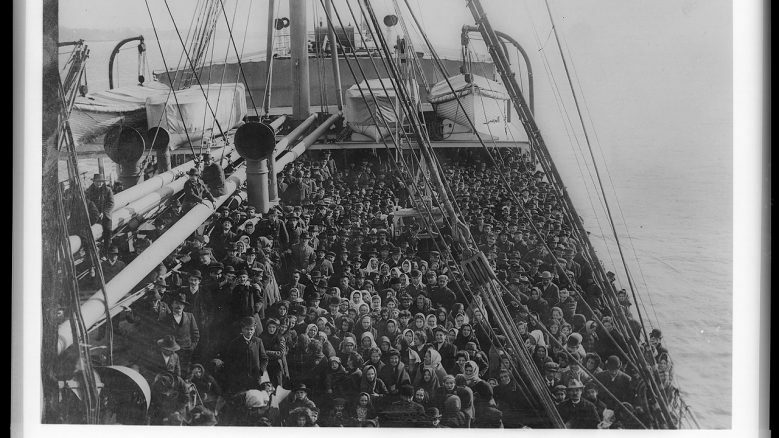 This episode contemplates the physical—and figurative—journeys charted by all immigrants. The Statue of Liberty in the distance: "Here at our sea-washed, sunset gates shall stand / A mighty woman with a torch ..."
The Statue of Liberty: "'I lift my lamp beside the golden door!'" Closeup of the Statue of Liberty, whose "mild eyes command / The air-bridged harbor that twin cities frame"
This free, not-for-credit online course explores the Poetry of the American Civil War and the series of major events and social movements that followed it—including Reconstruction, the Jim Crow Era, and Manifest Destiny. This free, not-for-credit online course focuses on the poetry of Walt Whitman, a quintessentially American writer whose work continues to bear heavily upon the American poetic tradition.